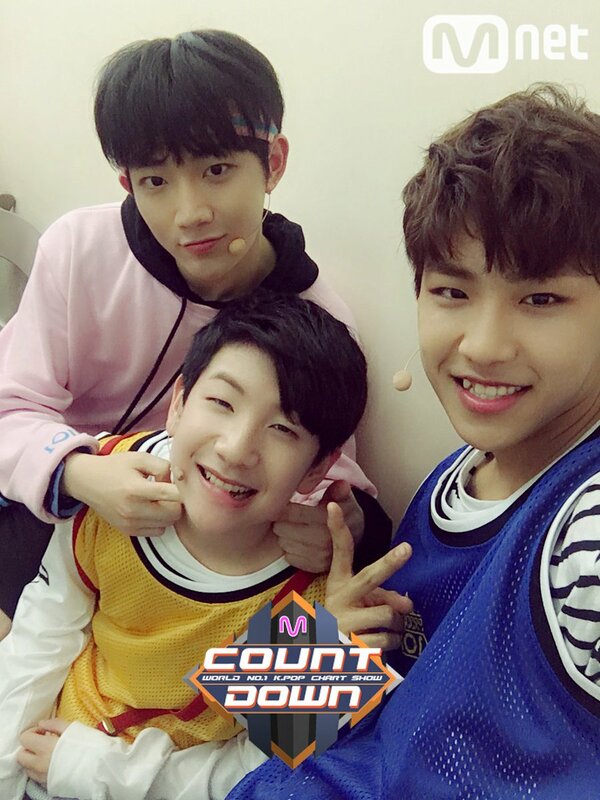 Do you remember the cute guy with full energy from Produce 101 Season 2 named Ahn Hyung-seob? Yes, he is also the one that covered the Pick Me dance, the main song of Produce 101 Season 1 with an irresistible aegyo. After two years since the last episode of Produce 101 Season 2, do you miss Ahn Hyung-seob and wonder what’s his current project? Or do you just simply want to know what’s the detail information about this cute guy that represented Yeuhua Entertainment in Produce 101 Season 2 along with his duo mate, Eui-woong? Well, then, let’s just keep scrolling to know more about Ahn Hyung-seob! Before joining Produce 101 Season 2, Ahn Hyeong-seop spent 1 year and 5 months as a trainee. He was a trainee in BigHit Entertainment before he joined Yuehua Entertainment, and his role model is Park Ji-min of BTS. He has a unique character and 4D personality. Some people say that he looks like a webtoon character. He has a younger brother named Ahn Sun-woo. 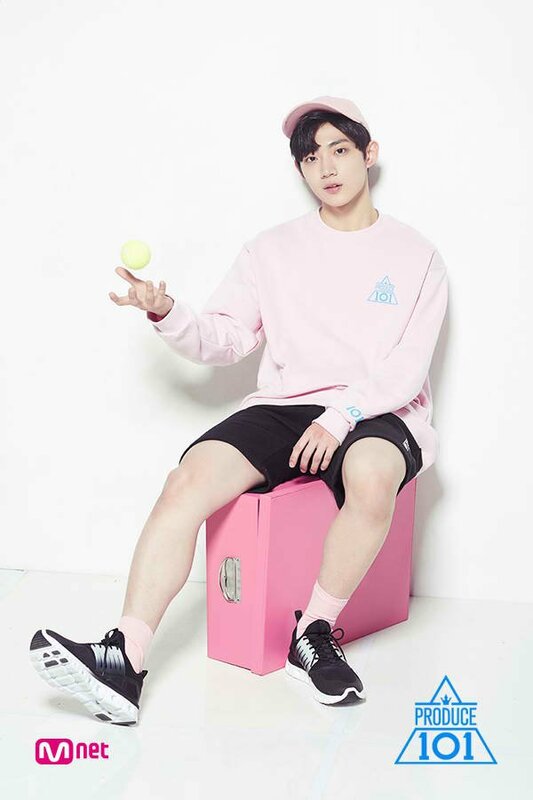 Ahn Hyung-seop is one of the trainees that participate in Produce 101 Season 2. He became the representative of his label, Yuehua Entertainment, along with his label mate that later became his duo partner, Eui-woong. 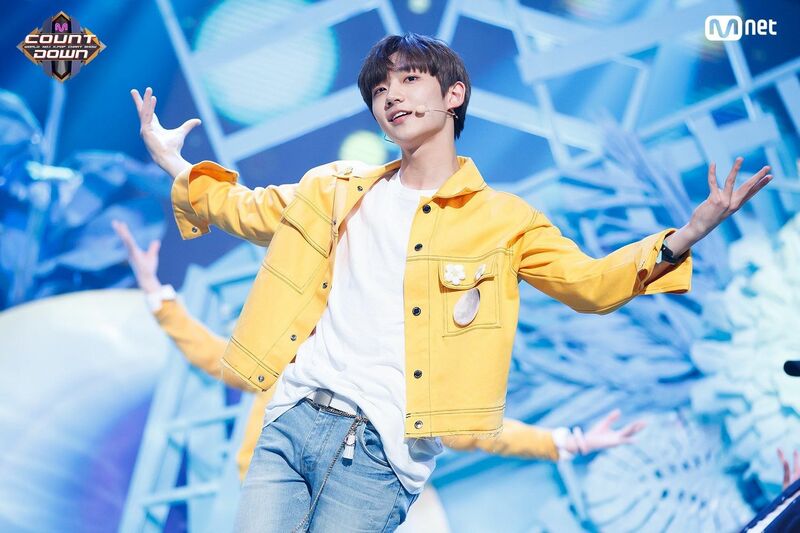 Although he failed to finish the show in the top 11 contestants and couldn’t debut with WANNA ONE, he still gained a lot of popularity after participating on the show and captured a lot of female audiences’ hearts. Being in a reality show with a lot of trainees from several companies, it is quite impossible for Ahn Hyeong-seop if he didn’t make friends with other contestants. 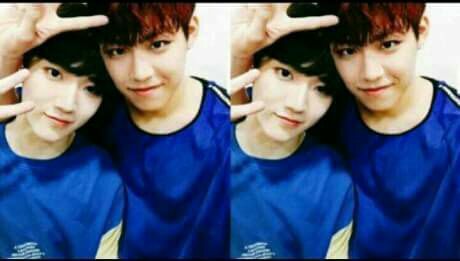 Aside from Lee Eui-woong, his label mate in Yuehua Entertainment, Ahn Hyeong-seop also get closer with Park Woo-jin, a trainee from YMC Entertainment that later on debuted with other 10 contestants as WANNA ONE. Both Hyeong-seop and Woo-jin are on the same age, they were born in 1999. It must be one of the reasons why they could be so close while filming the show. The two also got together as a team several times and became close because of that. Hyeong-seop even said that Woo-jin helped him a lot whenever he faced some problem in dancing or rapping. 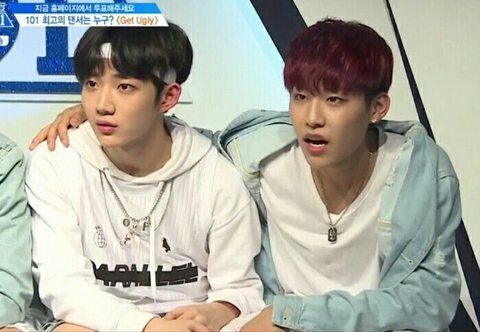 Lots of fans are admiring this bromance and declare Hyeong-seop and Woo-jin as one of the bromances that they missed in Produce 101 Season 2. Are you one of their bromance shippers? They also often took a selfie together. Look how cute they are! There are a lot of controversies in Produce 101 Season 2 and one of them is the evil editing for Ahn Hyeong-seop. The production team of the show edited his part and made him looks like a bad person in some episodes. Later on, he apologized for his bad attitude that looks so immature. But the scene of him apologizing for his bad attitude was only shown in the episode preview, and there wasn’t even any scene about him apologized in the real episode. 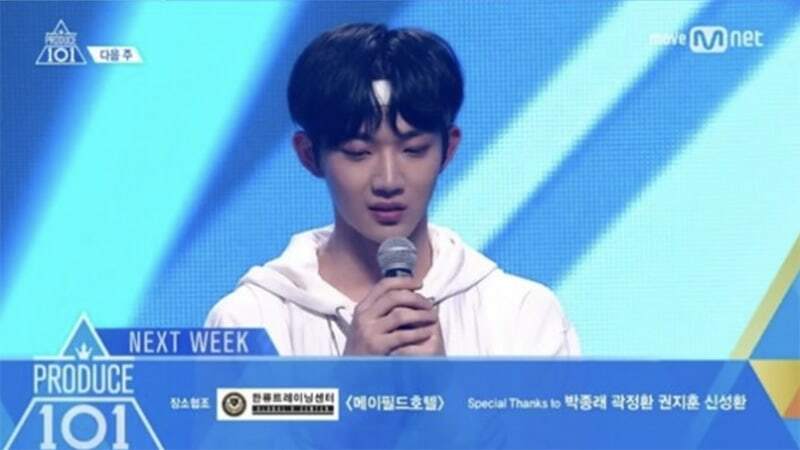 That’s why fans are angry again with the production team, because of the evil editing, Ahn Hyeong-seop could get a bad vote and got eliminated. He once finished at the 6th position but then dropped to the 20th position on the next episode. Oh, how poor he is.. that’s okay, Hyeong-seop, fans still love you! 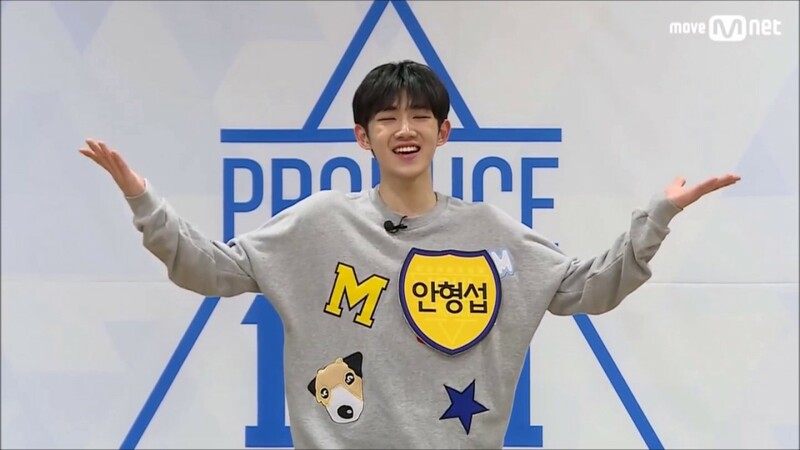 Even though Ahn Hyeong-seop only finished at top 20 contestants in Produce 101 Season 2 and didn’t get a chance to debut with WANNA ONE, he’s still managed to debut as a duo with his fellow label mate that also participated in Produce 101 Season 2, Lee Eui-woong! 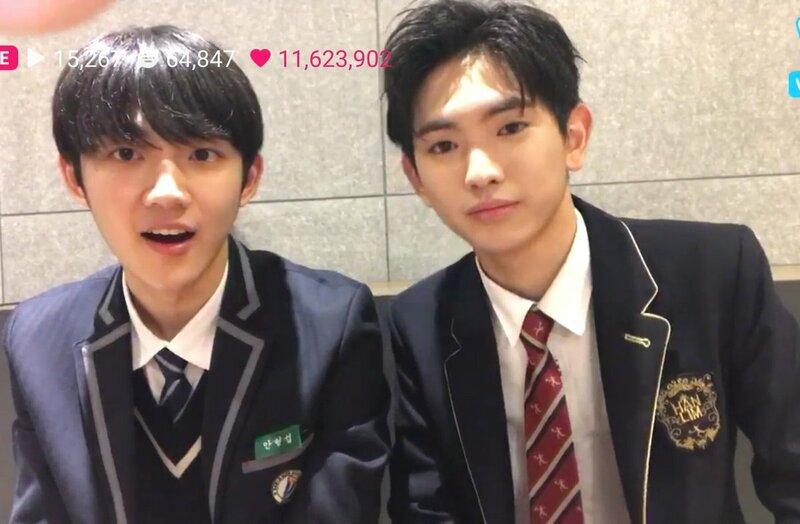 Hyeong-seop and Eui-woong debuted with a song called It Will Be Good in November 2017. The lyrics of this song tells about a boy who falls in love with a girl. Just like any other love song, this song also got a heartwarming feeling when you listen to it. The two boys look so fresh and cute while exploring the city in the music video that has nice cinematography. On April 2018 the duo made a comeback again with a song called Love Tint. The music video has the same vibe with their previous song, It Will Be Good. The lyrics also sounds so sweet, which is about falling in love with a girl–you can guess by looking at the title. Once again, the boys made an awesome singing and rapping in this song. They even got nominated as a Best New Male Artist in MAMA 2018. 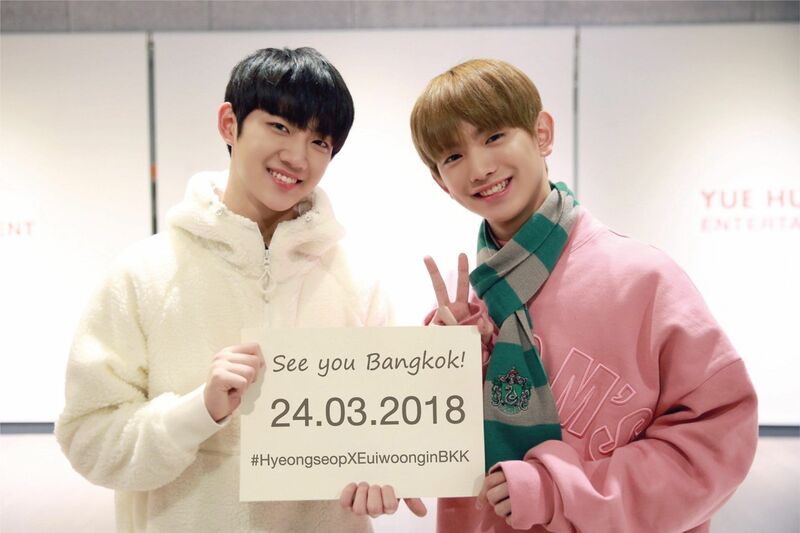 Not only he debuted with Eui-woong as a duo called Hyung-seop x Eui-woong a few months after the show ended, but he also got a chance to debuted as an actor by starring in a web drama called Mischievous Detectives with Nam-joo of A-Pink and Yoo Seon-ho, fellow Produce 101 Season 2 contestant in 2017. The story is about a young investigator, profiler and detective that teamed up to solve some mysterious cases. 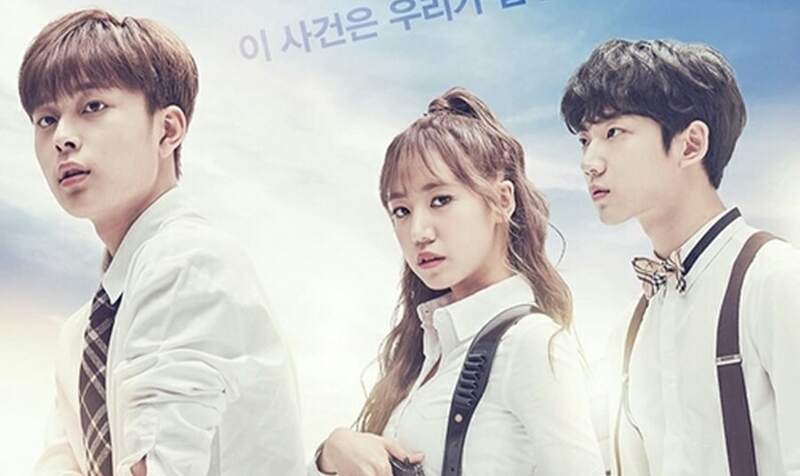 This web drama got a lot of good reviews from netizens. Have you watched it yet? And thankfully they make a season 2 for this drama. The three main cast is still the same, Ahn Hyeong-seop played as the same character with Nam-joo of A-Pink and Yoo Seon-ho. He dyed his hair to light brown in the script reading photos. 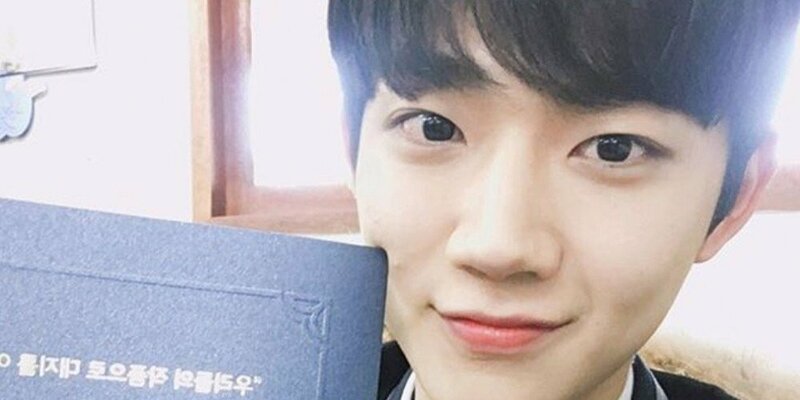 On February 2018 Ahn Hyung-seob ended his teenage life and welcoming his adult life after graduated from Dae Ji High School in Gyeonggi-do. 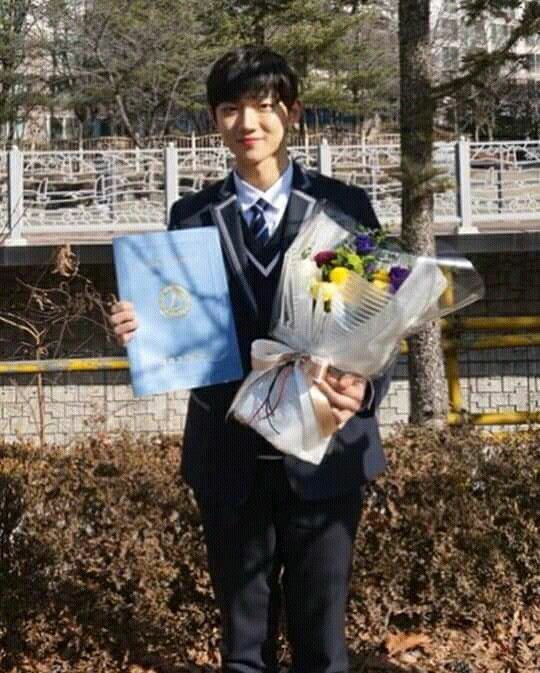 His agency, Yuehua Entertainment shared pictures of him smiling happily with the diploma certificate and a flower in both of his hands. There are also pictures of him in his graduation book. Still looks charming as he is when he’s on stage. 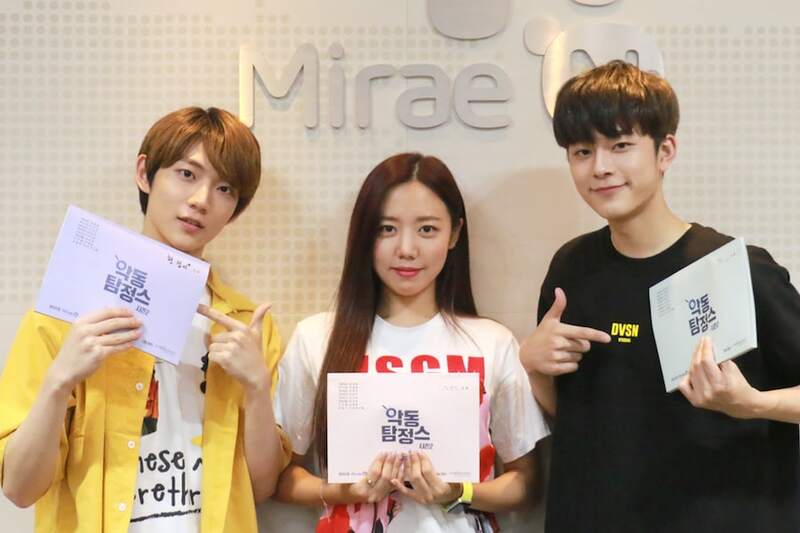 We really can’t wait to see the adult Ahn Hyung-seob in the entertainment industry! On MAMA 2018, Hyeongseop x Euiwoong made a first MAMA stage and they were so happy to get this chance. They performed their latest song Love Tint, and their debut song It Will Be Good, with Fromis_9. They also attended Show Champion in Manilla and met some Filipinos fans there. On August 2018, Ahn Hyeong-seop got a chance to be the model for sneakers brand called Stare. The brand even complimented him as he’s so friendly and has a soft image. Look at how cool he is in the brand photoshoots!